Plastics News Covers Seth GaleWyrick's "Biomimicry for Innovation"
Plastics News magazine highlighted the talk, “Biomimicry for Innovation: Good for Business & Good for the Planet,” given by Senior Mechanical Engineer and Sustainability Specialist, Seth GaleWyrick, at the conference, Design in Plastics 2017. In his talk, GaleWyrick called on product design professionals to look to biomimicry as a source for product innovation. Instead of asking, “Has someone else done this before?” he suggested asking, “Has some other species done this before?” Chances are, in the 3.8 billion years between the very first organism and when humans showed up, living things may have figured a few things out. 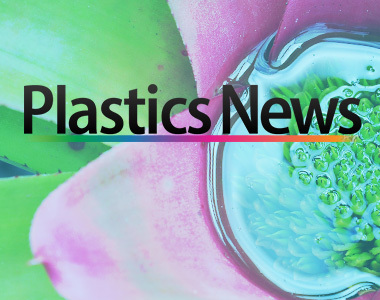 Plastics News writes how Seth drew connections in his talk between a number of modern product designs and their biological inspirations — a less painful hypodermic needle and a mosquito’s needles; an efficient fan blade and a sycamore seed pod. The article goes on to describe the Q-Collar, a wearable neck device for football players that borrows its technology from the woodpecker .